Η BMW παρουσίασε την M6 Celebration Edition Competition, μια ειδική έκδοση της M6, αποκλειστικά για την αγορά της Ιαπωνίας. Η συγκεκριμένη M6 θα βγει σε μόλις 13 μονάδες, με τον V8 4,4-λίτρων Twin-Turbo κινητήρα να δυναμώνει κατά 40 άλογα και να αποδίδει 600 άλογα με 700 Nm ροπής. Τα 0-100 χλμ/ώρα τα κάνει σε 3,9 δευτερόλεπτα, έχοντας τελική ταχύτητα 305 χλμ/ώρα. Είναι βαμμένη σε κίτρινο “Austin Yellow” χρώμα, φορά 20″ ζάντες αλουμινίου, μαύρα διακοσμητικά, μαύρες χρωμιομένες απολήξεις εξατμίσεων, carbon πίσω αεροτομή, carbon καθρέπτες και carbon διαχύτη. Στο εσωτερικό συναντάμε M Sport τιμόνι επενδυμένο με Alcantara, δερμάτινες επενδύσεις με κίτρινες ραφές, carbon διακοσμητικά, νέα μαρσπιέ και ηχοσύστημα Bang & Olufsen με 16 ηχεία. 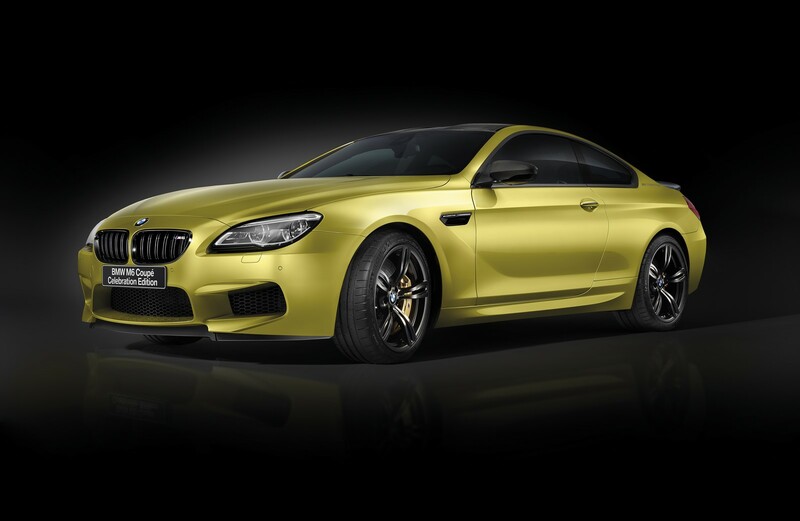 Bayerische Motoren Werke AG Co., Ltd. (President: Peter Klong main dish over Bull) is, as the sixth edition model of the special limited car to commemorate the 100th anniversary of the BMW, high-performance coupe of BMW M “BMW M6 the (M-Six) ​​coupe “further enhance the ultimate competition model the potential of the” BMW M6 Celebration Edition “Competition (Celebration Edition Competition)” “, in the country of the BMW M authorized dealers, of 13 cars limited number in, it announced that it will start selling from July 9 (Saturday). High rotation type 4.4-liter V-type 8-cylinder M TwinPower Turbo engine that is mounted, 600 hp of additional 40 horsepower up the best output from the normal of the BMW M6, also the maximum torque delivers 700Nm of 20Nm up, just 3.9 proud of the overwhelming power performance to accelerate seconds in the (European specification car value) at speeds up to 100km. 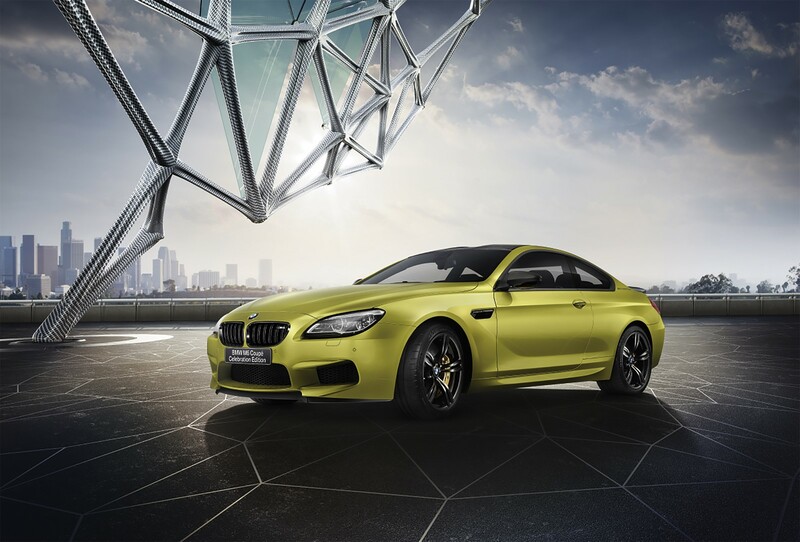 In addition, even the suspension and steering, subjected to a dedicated setting for the ultimate driving dynamics achieved, to enhance the performance of the BMW M6 to the limit. In addition, the brake system, to achieve significant weight reduction, the M carbon-ceramic brake system that was blessed with high wear resistance and fade resistance as standard equipment. 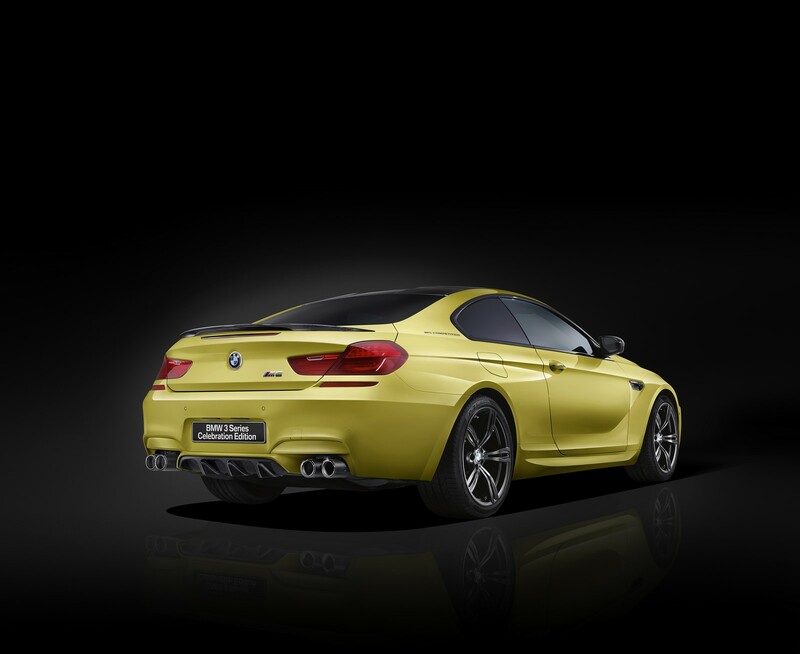 The exterior, in addition to a dedicated body color of bright BMW Individual Austin Yellow a 20-inch M light-alloy wheels, kidney grille frame, door handle, such as the side Gill a special black paint finish applied, It is an attractive styling, which was wearing an overwhelming dynamism. In addition, a number of carbon fiber reinforced plastic (CFRP) made of rear spoiler and dedicated equipment said diffuser under the rear bumper, intensely with impress a high performance in the circuit, it has achieved an effective aerodynamics . 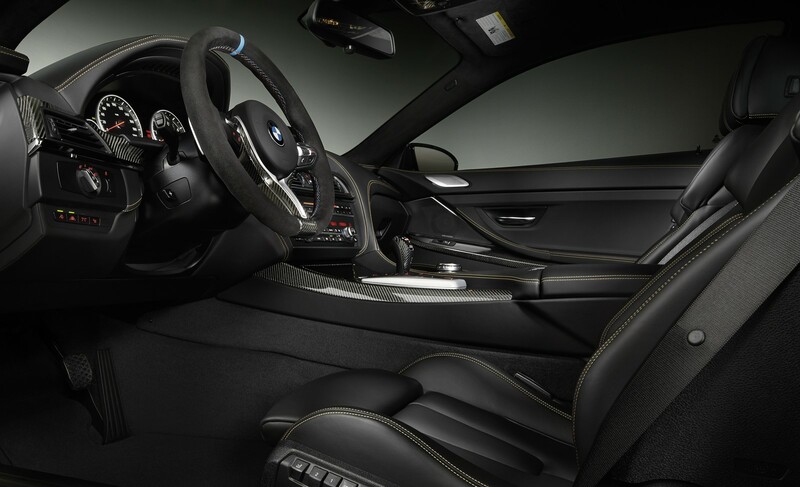 The interior is, in BMW Individual leather Merino interior of everywhere yellow stitched in black, a combination of the M sport steering wheel of carbon interior trim and Alcantara finish, directing the exclusive and extremely sporty interior space doing. ■ Manufacturer’s suggested retail price of the above (except the consumption tax) accessories price, taxes, insurance premiums, which does not include the registration expenses. Also based on the “Automobile Recycling Law”, recycling fee will be required separately. BMW M authorized dealer, to customers of BMW M model in the field of sales and services, by providing premium services in the exclusive, and further strengthen the fan base of the BMW M model, the maintenance and improvement of customer loyalty It was introduced from April 2012 for the purpose. In the BMW M authorized dealers, at the BMW M dedicated exhibition space, along with it it is possible to touch the latest BMW M model, and standing the test drive cars of BMW M, at any time, it is possible to test drive. In addition, with expertise through training that specializes in BMW M, BMW M Sales Consultant (new car sales representative), and BMW M BPS sales (BMW Meister is a top-level technician in the service) BMW M Service Specialist · place a consultant (used car sales representative), it has established a system to meet the high demand from customers. BMW M authorized dealers, as of May 2016, expand the Japan 13 dealers 18 sites (see below). Bayerische Motoren Werke AG Tokyo Co., Ltd.
Wayne’s Import Car’s Co., Ltd.